Intelligence and control functionality come together in the ICCS CAN Gateways. 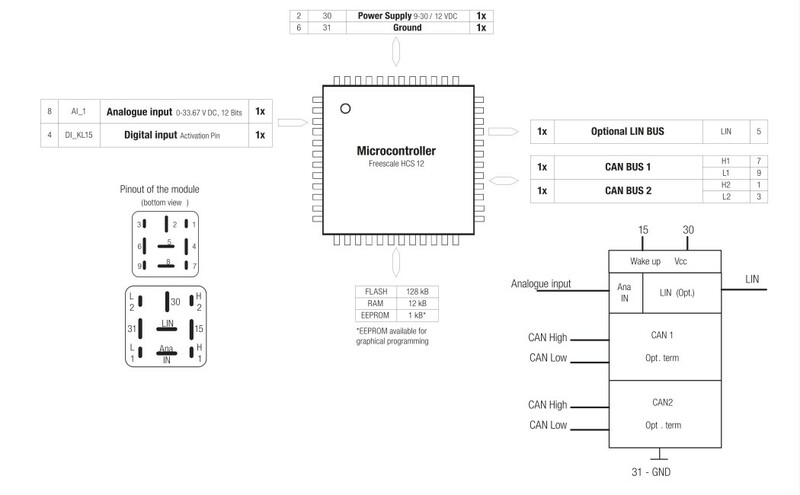 They connect the CAN networks with different bit rates or protocols. 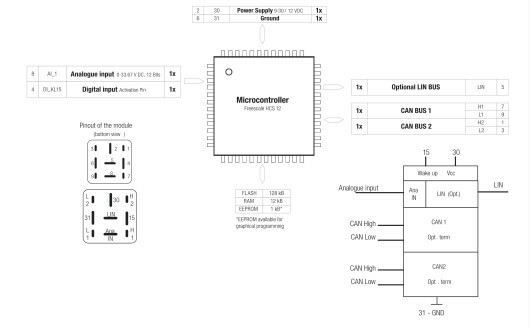 The smallest gateway module is packaged as a relay and provide connections for an analogue input, 2x CAN high speed and optionally a LIN bus interface. CAN messages of a network part can be received, filtered, edited and transferred to a connected subnetwork. Through the use of implementation and filtering rules, there is the option of a protocol adaptation between the subnetworks. The additional LIN bus connection (optional) enables data exchange between LIN and CAN networks. Programming the ICCS Micro Gateway is carried out using ICCS SDK Plus software.